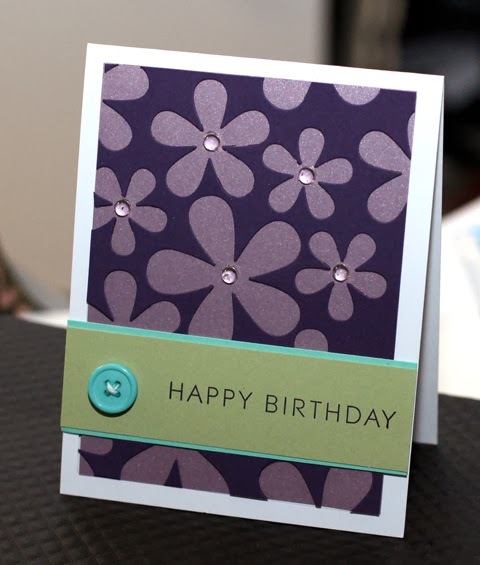 I was cutting out several purple flowers the other day, and liked how the card stock looked with negative cutouts. I adhered that over a piece of acetate and then placed that over some shimmery purple paper. I finished that off with a few baubles and a sentiment strip and called it a day!